Mikki Raveh practiced yoga for many years, but she really fell in love with it when it healed her hip injury. It was at that time she realized that yoga not only helped her physically, but that it was a way for her to step outside the everyday and explore the energetic possibilities of the world that surrounds her. After many years of both teaching and practicing Pilates, Mikki added yoga to her teachings. She completed her yoga teacher training at Baptiste Power Yoga Institute with her Boston mentor, Gregor Singleton. Mikki spends her summers teaching and studying in Vermont. It was there that she first began her Iyengar practice. Upon returning to New York City Mikki began to practice and study at the Iyengar Institute. In addition she was inspired by Marco Rajas’ teachings and continues to grow from his influence. When teaching, Mikki focuses on the present, this is what drew her to yoga and what she shares with others. Her classes focus on proper alignment and continuous movement through breath. Mikki strives to empower her students to leave the world behind and be in the moment. In addition to her yoga training, Mikki was certified in the Pilates method through Physical Mind Institute, Power Pilates, and the Pilates Method Alliance. She obtained her Gyrotonic Expansion System® certification in 2003 under the guidance of Master Trainer Maria Rosa Gugielmi. 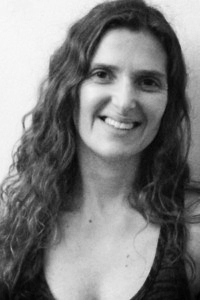 In 2001, Mikki taught in Tel-Aviv, Israel where she worked directly under physical therapist Dror Raz. In 2004 after the birth of her first child, Mikki studied Itsy Bitsy Yoga® (baby and toddler yoga) and in 2006 got trained by Helen Garabedian, Certified Yoga Teacher, Infant Development Movement Educator and founder of Itsy Bitsy Yoga® International.